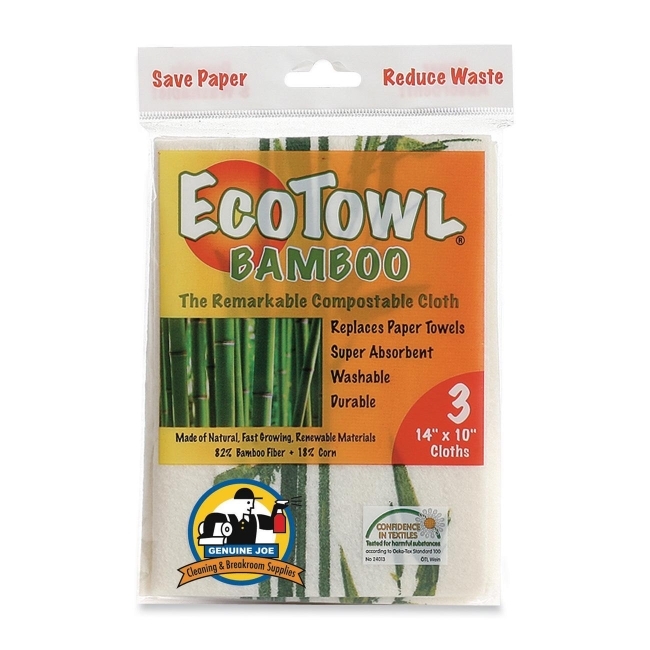 Full Size: 10" x 14"
Compostable cloth is made from natural, fast-growing, renewable materials with 82 percent rayon from Bamboo and 18 percent non-GMO Corn. Super absorbent, durable towel is machine washable. Use wet or dry in kitchens, offices, floors, dusting, polishing and carpet spills. 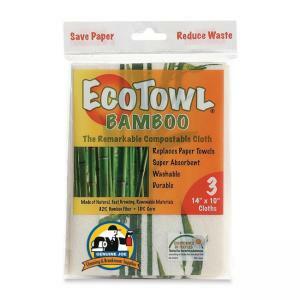 Design features a bamboo imprint.